Non-fiction texts typically provide information to the reader in a variety of ways and in multiple places on the page. 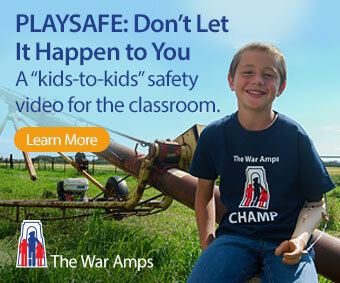 The support provided by these text features also helps to make the non-fiction genre accessible to students with a wide range of reading and learning abilities: title, title page, table of contents, glossary, index, headings, italics, bold words, fact boxes, sidebars, webs, charts, diagrams, captions, illustrations, photographs, labels, maps, speech bubbles, font styles and sizes, page numbers and lists. 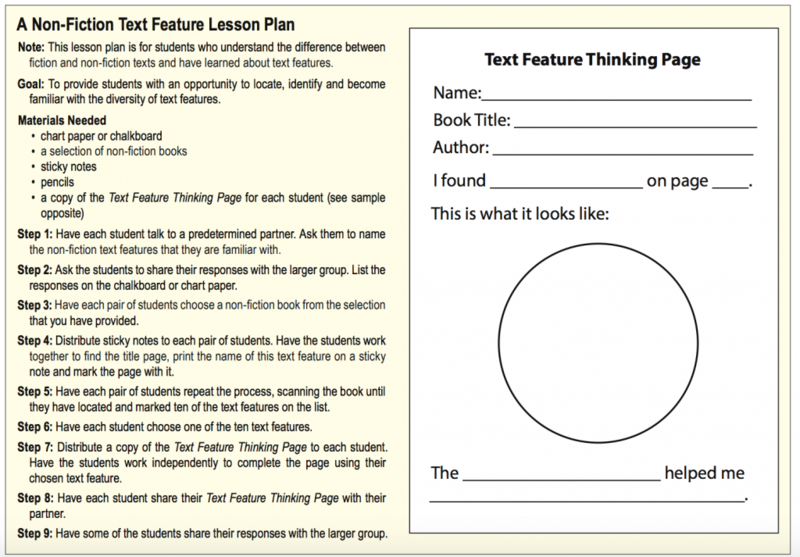 The lesson plan below is intended to provide students with practise in locating and identifying common text features. These new titles would be a welcome addition to any school library or classroom collection. They not only provide examples of non-fiction text features, but also connect directly to the Earth Science and Social Studies curricula. 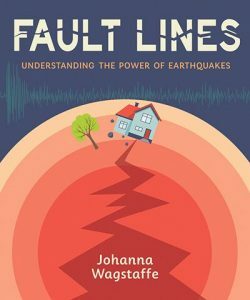 Written by CBC meteorologist Johanna Wagstaffe, this book does an excellent job of describing the attributes of different types of earthquakes, their causes and the impact that they have on the world around us. This information is given in a variety of ways including narrative text, fact boxes, sidebars, diagrams, graphs, photos, captions, labels and charts. The author intersperses the scientific information with first-hand accounts from her own life and from several earthquake survivors. This colourful and clearly written book also offers students and their families some tips on how to prepare for an earthquake—it certainly has me re-assessing the contents of my earthquake kit and checking on the “best before dates” for the food items stored there. The first few pages of this book describe the impact that water has on shaping our planet (rivers, streams, glaciers, oceans, etc.). 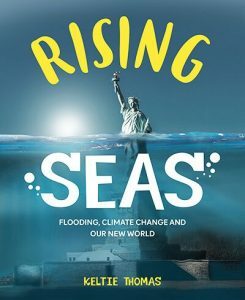 It also explains the reasons for the gradual rise in ocean levels and identifies some of the coastal communities that are most at risk for flooding. The author then highlights 15 geographic locations (Miami Beach, Nova Scotia, Mumbai, etc.) and illustrates how the populations there will be impacted by the continued rising of sea water levels. The book concludes with examples of actions that students and their families can take to reduce carbon emissions. Illustrated with photographs and cartoon style drawings, this book presents information in a clear and concise manner. It uses a wide variety of text features including colour coding and speech bubbles. Ashoka is an organization that supports individuals to effect positive change in the world. 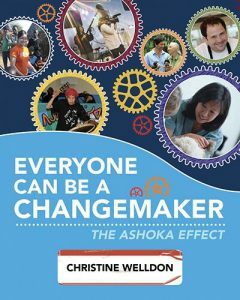 With Ashoka’s help, changemakers receive funding, mentorship and encouragement from a large network of social entrepreneurs. This book tells the stories of sixteen changemakers and their innovative projects. Starting with Thomas Lang, a student in Burnaby (he established a Reusable Events Materials Library) and ending with Michelle Lem, a doctor of veterinary medicine in Ottawa (she established a free veterinary clinic for homeless people and their pets) this book is full of inspiring accounts of changemakers and their projects. The stories in this book are told through narrative text and supported by a wide variety of non-fiction text features including endnotes.